More effective than standard aspiration needles, the Sonopsy™ Needle steps down to a 21G echogenic point. 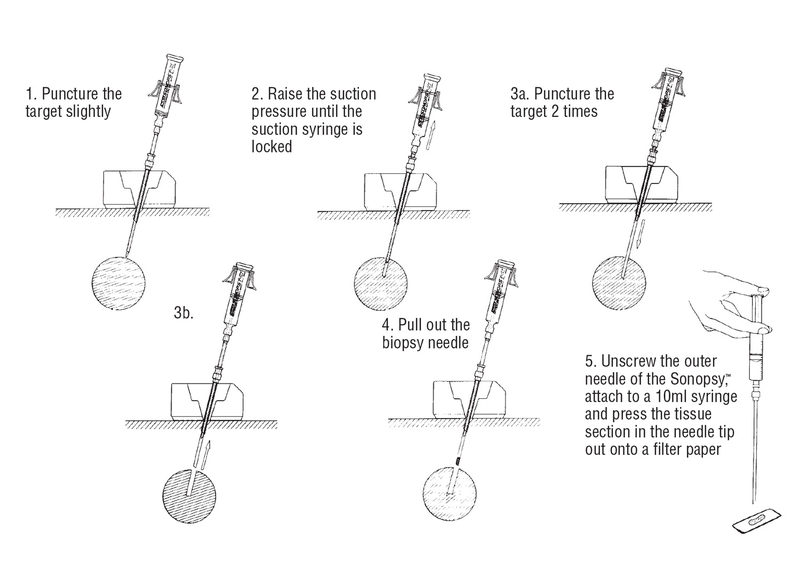 The step down cannula creates a powerful vacuum that collects and holds tissue samples in the needle tip. 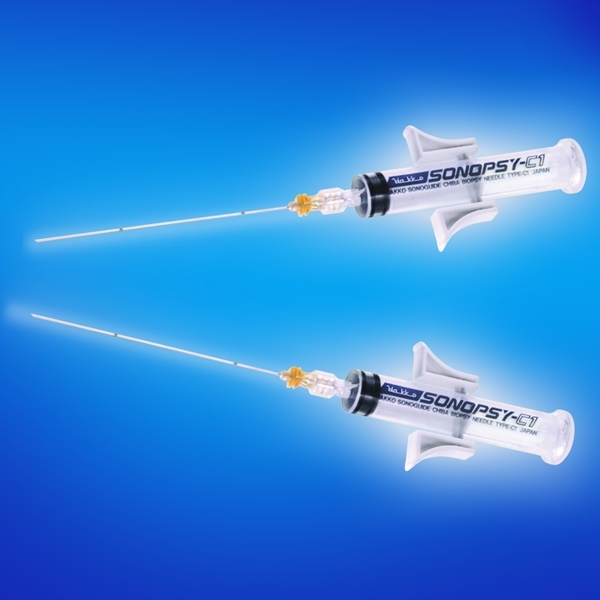 Short for Thyroid and long for Liver and Pancreas, each Sonopsy™ set includes one suction syringe (18mm x 96mm), a Trocar point needle and three filter papers. Sterile and disposable.